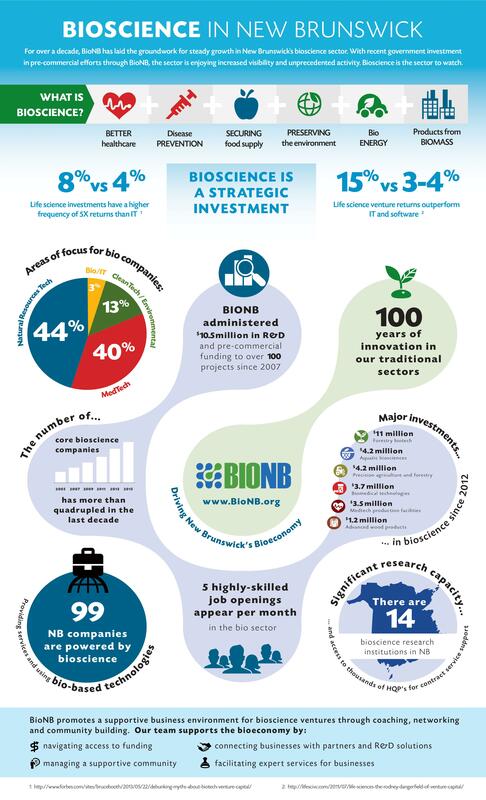 How many bioscience companies are in New Brunswick? In which areas do bio companies focus? Are there any major investments made in bio in New Brunswick? Is bioscience creating jobs in New Brunswick?